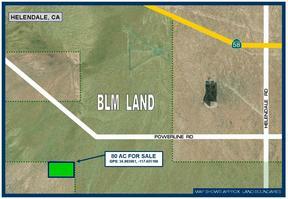 80 Acres Near Powerline Rd. 80 Acres of beautiful desert land in Helendale, CA. Helendale is an unincorporated area in the San Bernardino County. 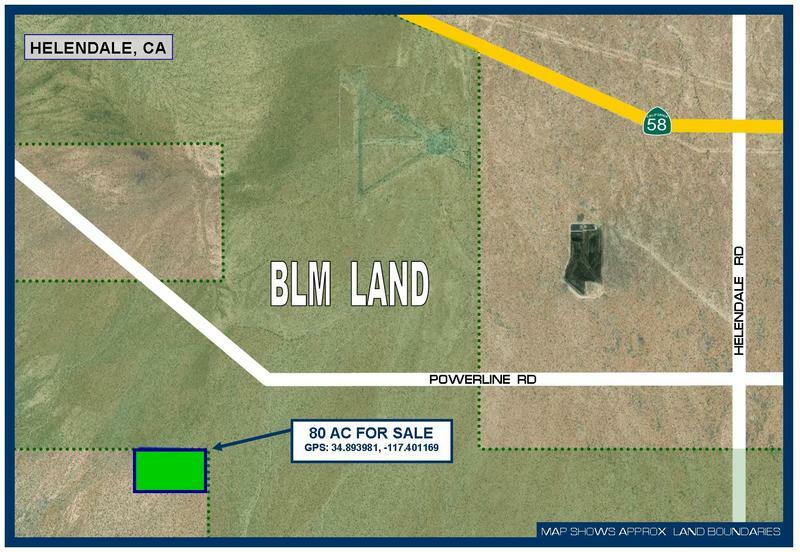 The property is located 3.5 miles south of Highway 58, 40 miles west of Helendale Rd. 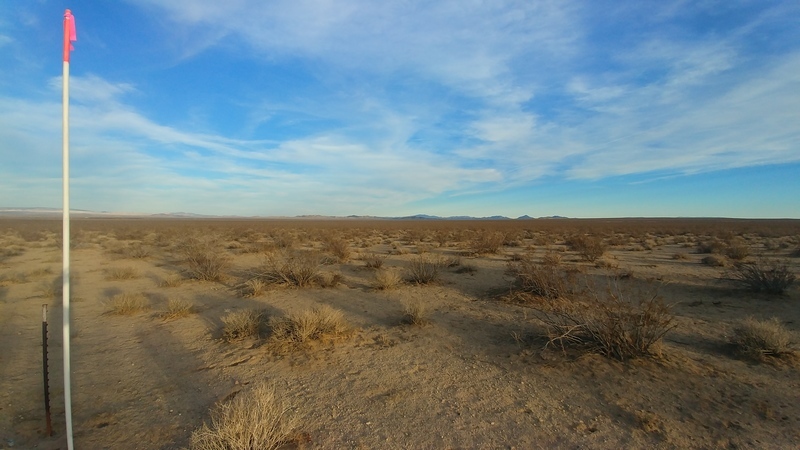 and 5.8 miles east of Highway 395. 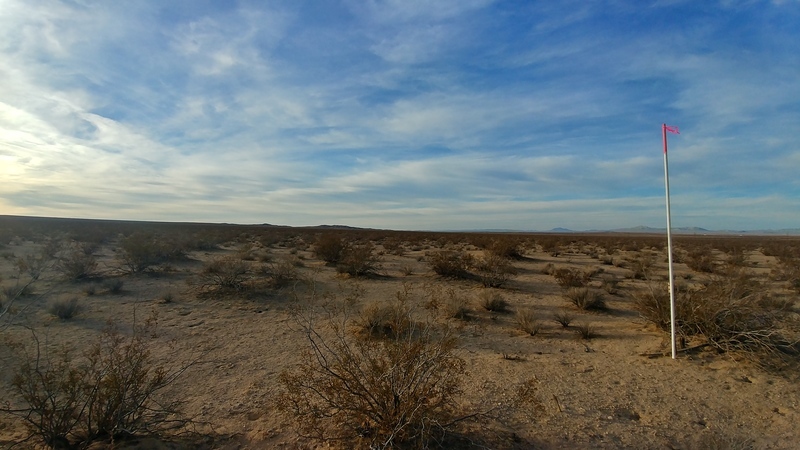 According to the San Bernardino County the property is zoned 'Resource Conservation'. According to the County this land use designation zoning district provides for open space and recreational activities and single family homes. The San Bernardino County Recreational Shooting and Hunting Area Map labels the area as 'closed to all shooting except shotguns, firing shot no larger than 1/2 the diameter of the bore'. 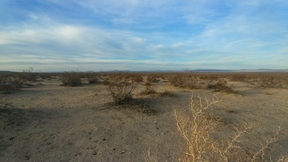 Many properties in this area are owned by the government and managed by the Bureau of Land Management (BLM). The BLM properties here are not fenced but may be enjoyed by off road enthusiasts per their guidelines. Directions From Vista/Helendale Rd: turn right (north) onto Helendale Rd. and go 10.9 miles, turn left onto Powerline Rd (runs along large overhead powerlines) and go 3 miles. 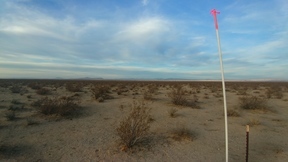 Turn left and follow wash south approx .5 miles, property is .5 miles west. Approx corners are marked with 10 ft white PVC poles with pink tape.